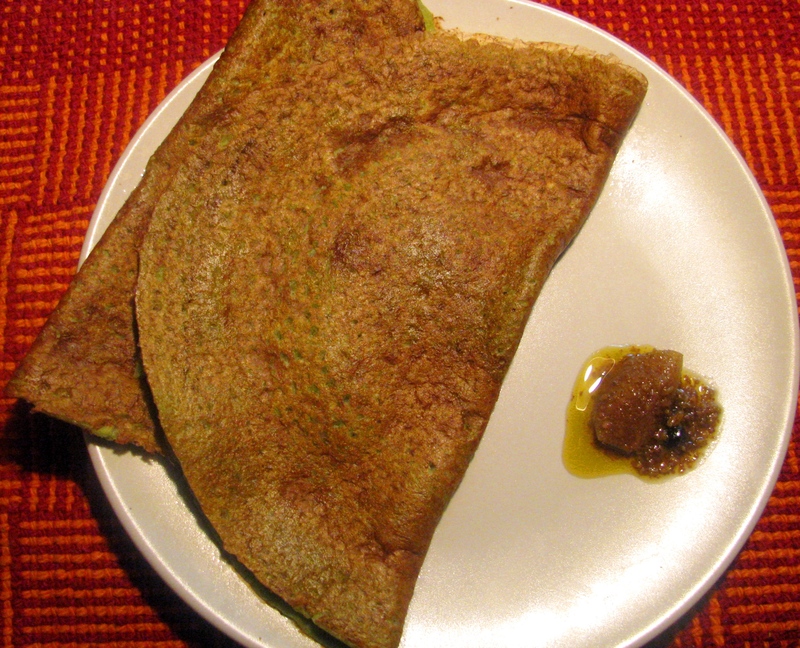 Moong ka cheela or moong ka dosa is very healthy breakfast .I make moong cheela in variety of ways. 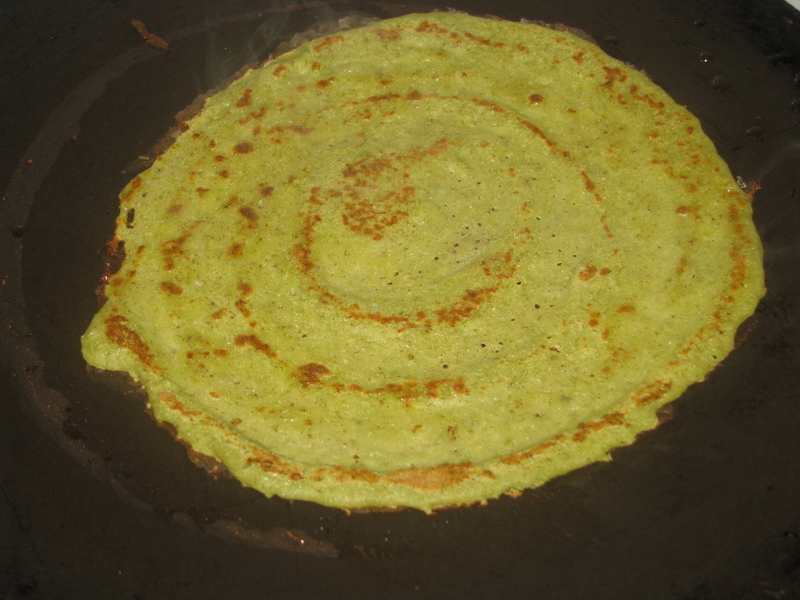 I don’t use only moong (green gram) to make this cheela or dosa. In summers I add rice flour to make moong dosa and during winter I add maize flour (makki ka atta) to make moong ka cheela. I use Maize flour mostly during winters. Rice is easy to digest, so I prefer rice flour in moong cheela during summers. Well there is no need to add any flour to make moong cheela but by adding flour it makes the complete breakfast as both protein and carbs are present in it. 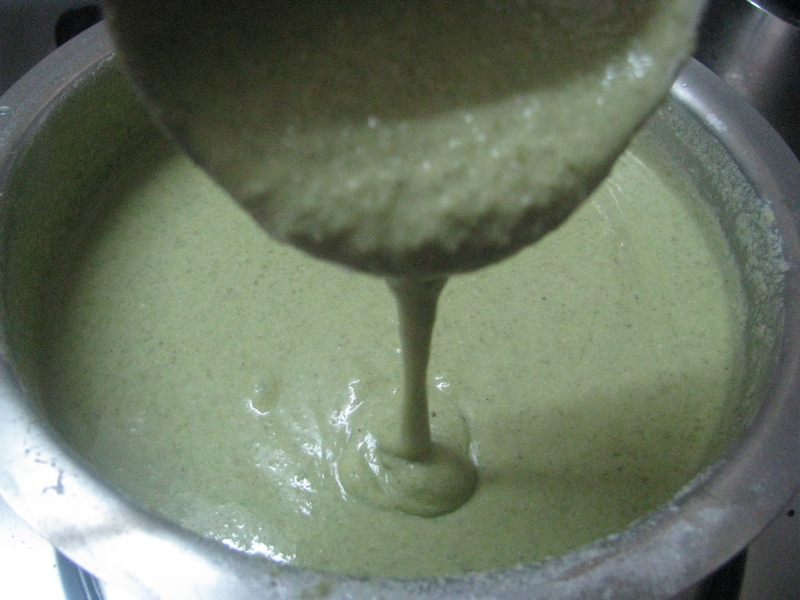 I also add curd/ yogurt to make this cheela batter; which completes the calcium demand. Well if your vegan you can add water to make cheela batter . In regular dosa batter lot of time required for soaking and fermentation. 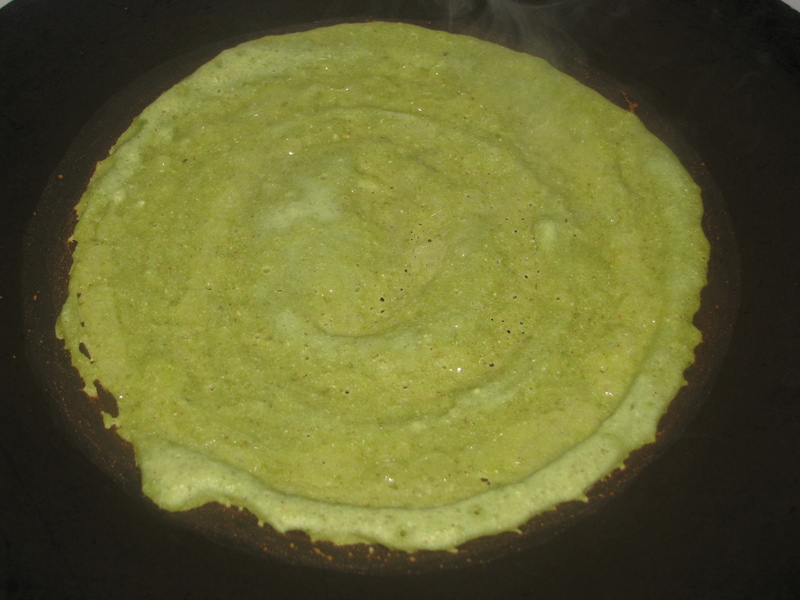 In moong dosa or cheela there is no need of fermentation. 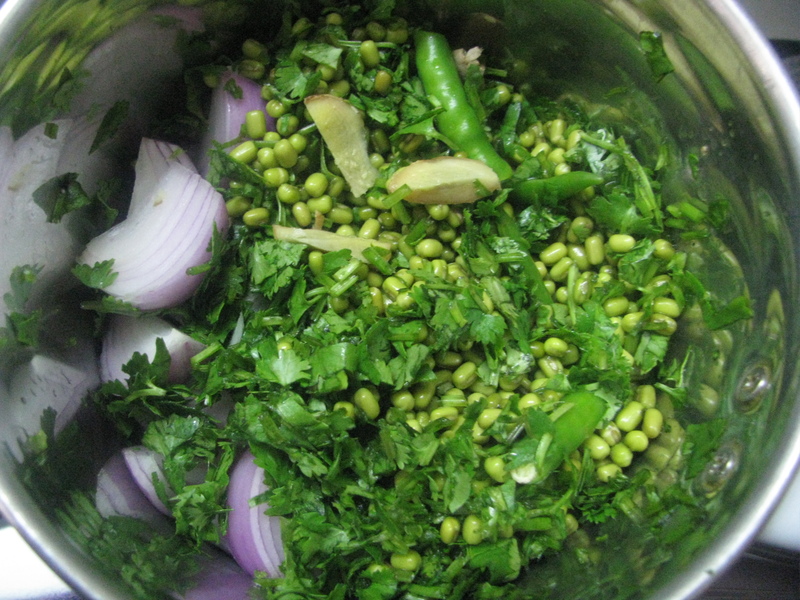 I use moong chilka (green gram split) or moong sprouts (green gram sprouts) to make cheelas. Moong dal sprout chilas are very nutritious, it takes time for moong to get nice sprouts, so if you’re in hurry just soak whole moong or moong chilka (split green gram) to make this chila or dosas . I add finely chopped onion and green coriander to my cheela or dosa to make it moong uttapa, but when I make it for kids I grind both onion and coriander in batter only. Wash moong or moong chilka or moong (dhuli) dal nicely and Soak it in clean water for 4-5 hours (during summer 7-8 hours during winters). If you want to make sprouts of moong keep it in clean muslin cloth or / colander to make sprouts . Take moong sprout /soaked moong chilka / moong in grinder jar, add green chilies ,ginger ,garlic / onion coriander leaves, jeera & salt to it . 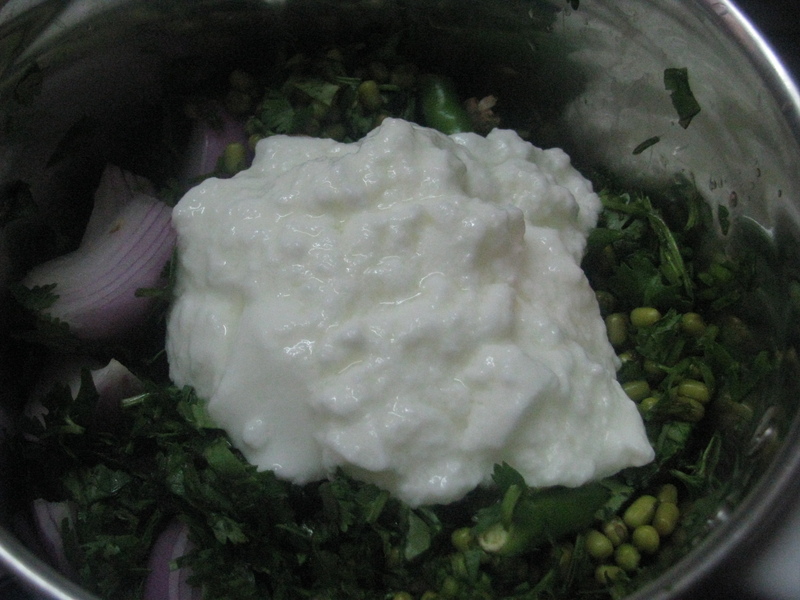 Add little curd or water to make fine batter of it . 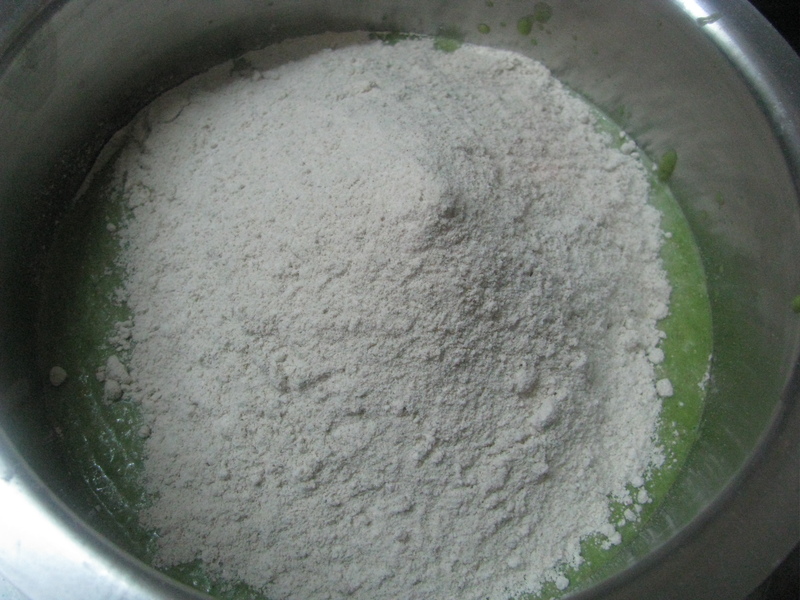 Now add sooji / rice flour / maize flour and curd in this batter and mix it nicely. Keep this batter aside for 1 hour. Well this step is optional if you don’t want to add any flour in your moong cheela and want to make it immediately, you can directly proceed for making dosa or cheela of moong batter. 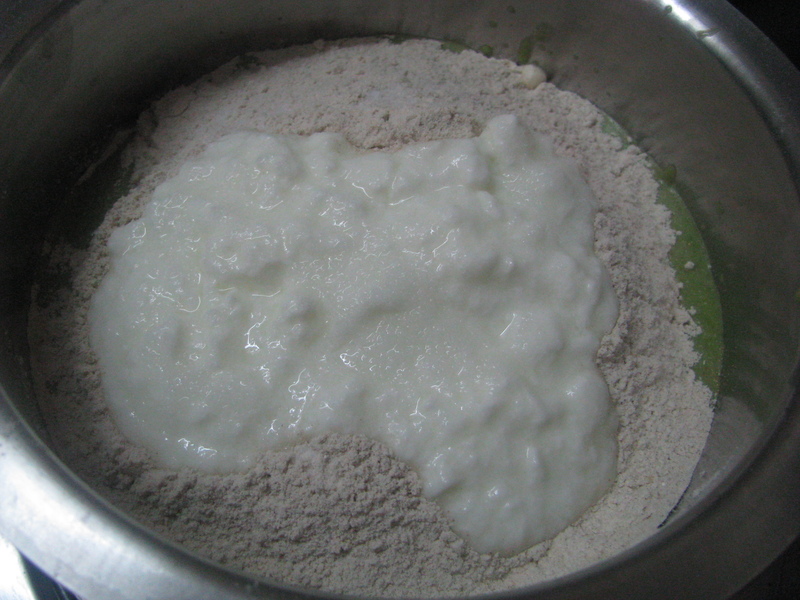 After 1 hour flour will get soaked with moong batter. 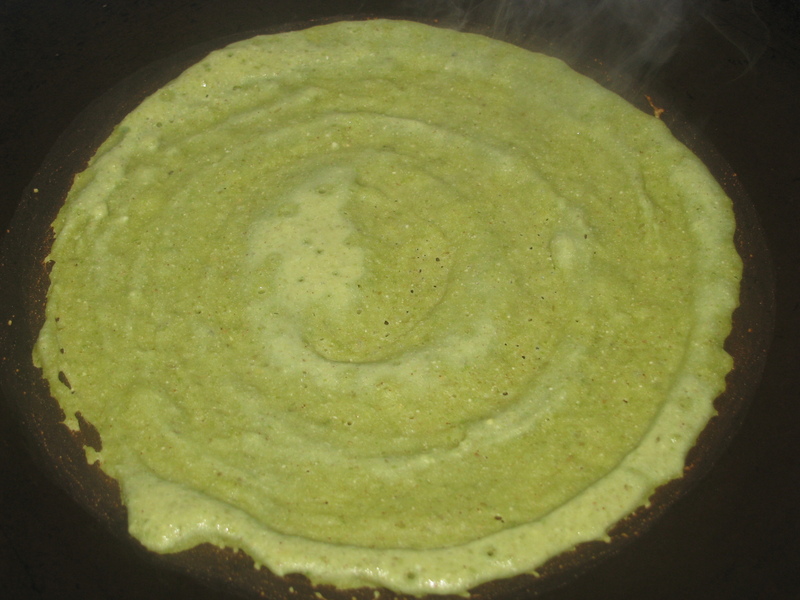 Now heat a non stick tava/ pan, take a ladle of cheela batter and spread it in a circular way on tava . When its cooked on one side, flip and cook the otherside. Serve this hot cheela with coriander chutney, pudina chutney, curd , raita , pickle . Sprinkle some cold water on tava and wipe it with cloth before making each chilas. 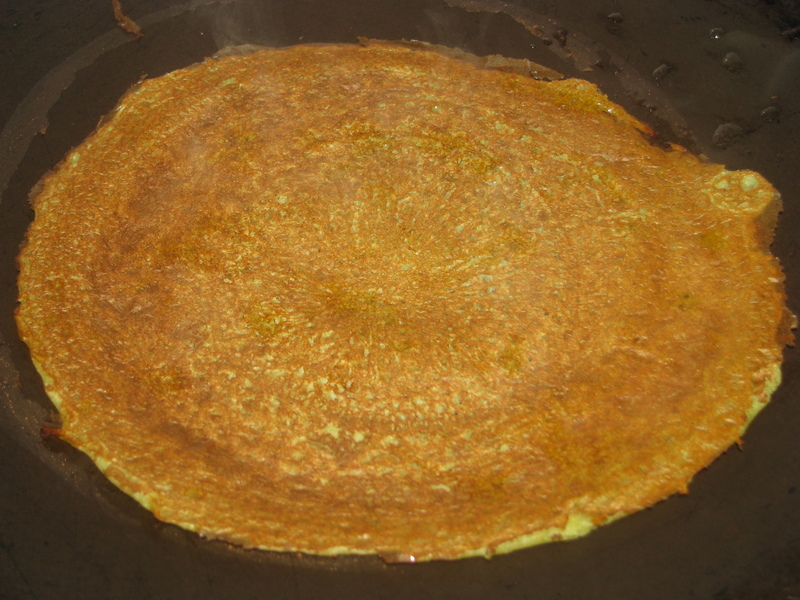 If the tava is very hot you cannot spread chilla batter properly on it.